In a revelation that could have dramatic implications for the Abe administration, the Finance Ministry admitted Monday to making dozens of deletions to 14 documents related to the shady 2016 sale of state land to nationalist school operator Moritomo Gakuen between late February 2017 and April the same year, weeks after the heavily discounted sale was first reported. 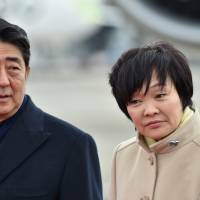 The deleted sections include the names of Prime Minister Shinzo Abe and his wife, including passages that said the head of Moritomo Gakuen at the time, Yasunori Kagoike, mentioned Akie Abe during talks with the ministry on April 28, 2014. During an April 25, 2014, meeting with Kagoike, the first lady was quoted as saying “this is a good land plot and please promote” its plan to build an elementary school, according to a 80-page report the ministry submitted to the Diet on Monday. The ministry’s admission will deal a heavy blow to Abe’s Cabinet because the papers were doctored by ministry officials after they were officially finalized. The Penal Code bans the fabrication of public documents. Abe, speaking to reporters, admitted the revelation might damage the public’s trust and said he feels “deeply responsible” for what happened. “I would like to offer the public my deepest apology,” he said. The disclosure has deepened public suspicions that the ministry gave Moritomo an 86 percent discount on the land because of Kagoike’s close ties with Akie Abe, who served as honorary principal of the elementary school that was to be built on the plot until the scandal broke. The prime minister has strongly denied either he or his wife were involved in the ministry’s 2016 decision to sell the plot of land in Toyonaka, Osaka Prefecture. According to the ministry’s report, officials at the Finance Ministry’s Financial Bureau doctored the Moritomo papers after the Asahi Shimbun daily broke the story on the deal on Feb. 8 last year. The ministry claimed on Monday it had found the copies of the original documents on one of its computers. It previously claimed the master copies were submitted to prosecutors in Osaka who are reportedly looking into allegations that officials at the ministry disposed of other Moritomo-related documents. The people who ordered the redactions and their motives remain unknown, officials in the ministry said, adding that it will continue to investigate. On Monday, opposition lawmakers stepped up their calls for Finance Minister Taro Aso’s head, saying they were prepared to boycott Upper House sessions on government-sponsored bills linked to the fiscal 2018 budget if he did not resign. According to media reports, a Finance Ministry official who handled the Moritomo documents killed himself earlier this month after the Asahi Shimbun first reported on some of the revisions. On Friday, National Tax Agency chief Nobuhisa Sagawa, who oversaw the Finance Bureau, the ministry entity that was in charge of the land sale, stepped down to take responsibility for causing “confusion” in Diet deliberations. If the Cabinet’s approval rate falls sharply in response to the latest revelations, it could prompt the opposition camp to continue boycotting Diet sessions, which could force the finance minister to step down. 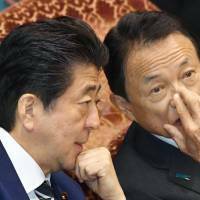 If Aso is forced to resign, it would deal a massive blow to the Cabinet and considerably weaken Abe’s grip on power. Aso, who heads the second-largest faction in the Liberal Democratic Party, is a longtime ally of the prime minister and concurrently serves as deputy prime minister. At a regular news conference, Chief Cabinet Secretary Yoshihide Suga rejected calls for Aso’s resignation. He said he expects him to fulfill his responsibility by “leading the ministry’s effort to thoroughly investigate” the scandal. How strong the public will react remains to be seen because the Cabinet has enjoyed relatively solid support in the face of a fragmented opposition. A survey by the daily Yomiuri Shimbun conducted from Friday through Sunday showed that the Cabinet’s approval rate had already fallen six points to 48 percent from the previous month. But the LDP’s support rate stood at 38 percent, far higher than the 9 percent support for the Constitutional Democratic Party of Japan (CDP), the largest opposition force. The doctored versions of the papers in question were released last year to lawmakers demanding information on the deal, and the issue is a top concern for the opposition. Opposition parties harshly criticized the Abe government for “undermining” the revamped national information disclosure system for lawmakers and citizens. “It has become clear that Abe’s Cabinet has lied,” claimed CDP member Renho, a leading member in the Upper House. Renho pointed out that in addition to Akie Abe, the names of four LDP lawmakers were deleted from papers that had explained the history of the negotiations with Moritomo. The lawmakers were Yoshitada Konoike and Issei Kitagawa of the Upper House and Takeo Hiranuma and the late Kunio Hatoyama of the Lower House. The original version of the papers explained that the secretaries of the four lawmakers had separately made an inquiry that apparently urged the Finance Ministry to promote land talks with Moritomo. “The ministry deleted the names of the politicians and Ms. Akie Abe, and submitted the papers to the Diet,” Renho told reporters Monday after a Upper House budget committee meeting with ministry officials. “This is an insult to democracy,” she added. One of the original papers also said Akie Abe had praised the ultranationalistic education policy of Moritomo Gakuen’s kindergarten in Osaka’s Yodogawa Ward. This part, too, was deleted from the version released to lawmakers. Regarding Kagoike, the dropped parts included a part mentioning that he was a member of the Osaka branch of the Japan Conference (Nippon Kaigi), the country’s largest nationalist grass-roots organization. 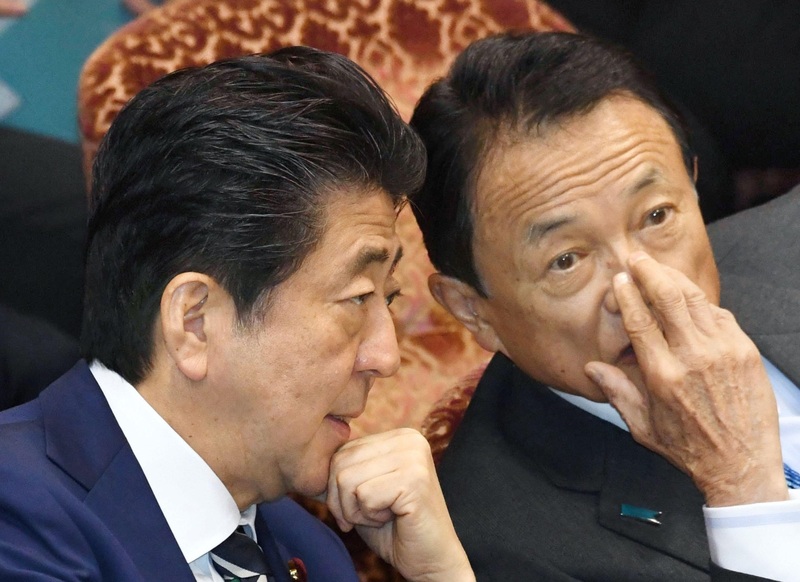 The original papers also pointed out that Abe, Aso and Hiranuma are all members of a nonpartisan group of lawmakers linked to the Japan Conference. This was deleted from the latest version. He said his ministry will do its best to cooperate with the investigation by prosecutors and seek to rebuild public trust. 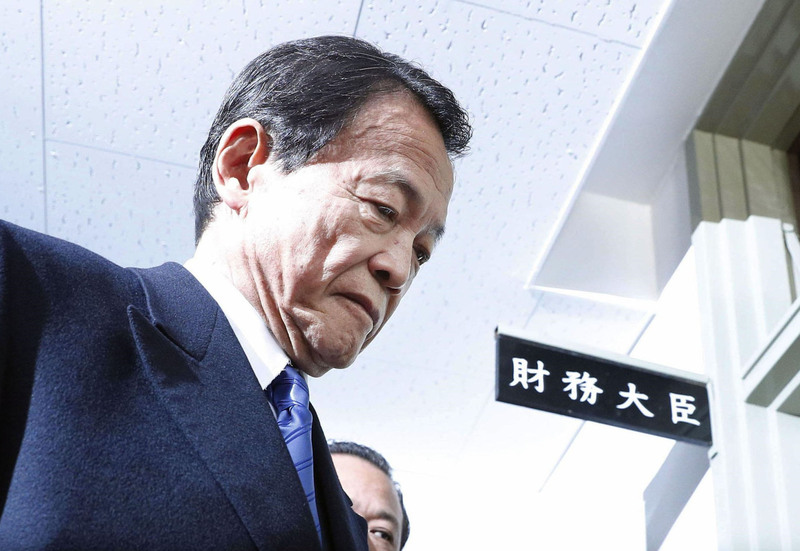 Aso, however, ruled out the possibility of an institutional cover-up, emphasizing that the falsification was orchestrated only by a small number of officials at its Financial Bureau. Likewise, he stressed he has no intention to resign. “It is regrettable that an action by some people in the bureau has damaged the reputation of the Finance Ministry as a whole, but I don’t think the problem is organizational,” he said. 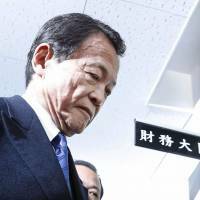 Aso said the documents were doctored in an apparent bid to smooth out some discrepancies with answers provided by Sagawa at the Diet. Sagawa repeatedly claimed the land deal with Moritomo was legitimate. Staff writer Tomohiro Osaki contributed to this report. 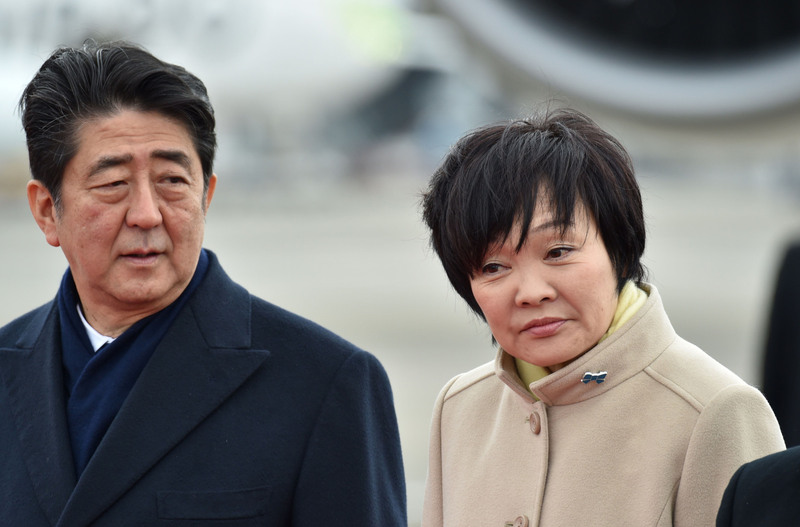 The Moritomo cronyism scandal: Could it hurt Abe?